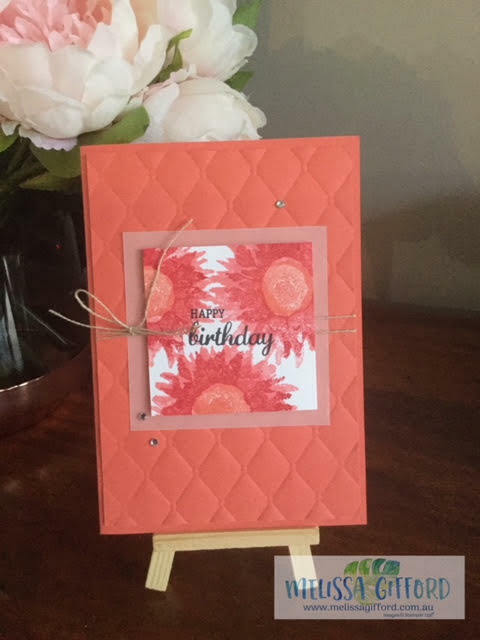 Melissa Gifford - Independent Stampin' Up!® Demonstrator: Happy Birthday! Today's card went out to a very special someone for their birthday! This card is nice and bright and fun don't you think? I used the Painted Harvest stamps set for the flowers. The colours I used were Calypso Coral and Flirty Flamingo.